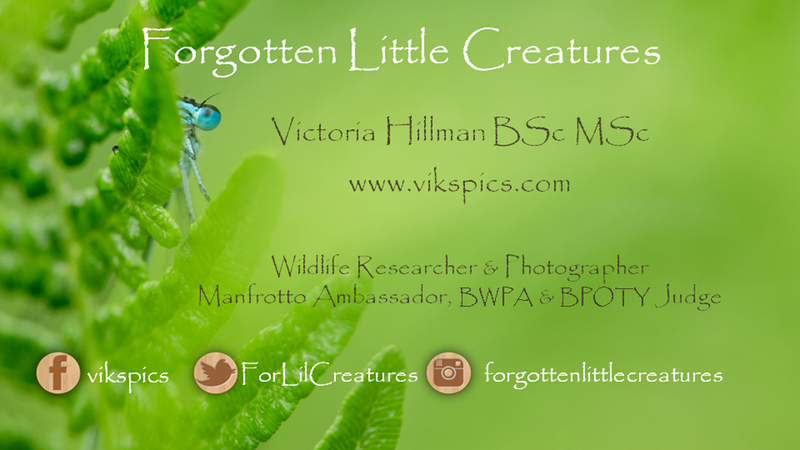 This talk covers my Forgotten Little Creatures Project and brings together creative photography, technical details, stories behind the images and also some interesting fun facts about the subjects. This talk can be either 45 mins or 90 mins in length. 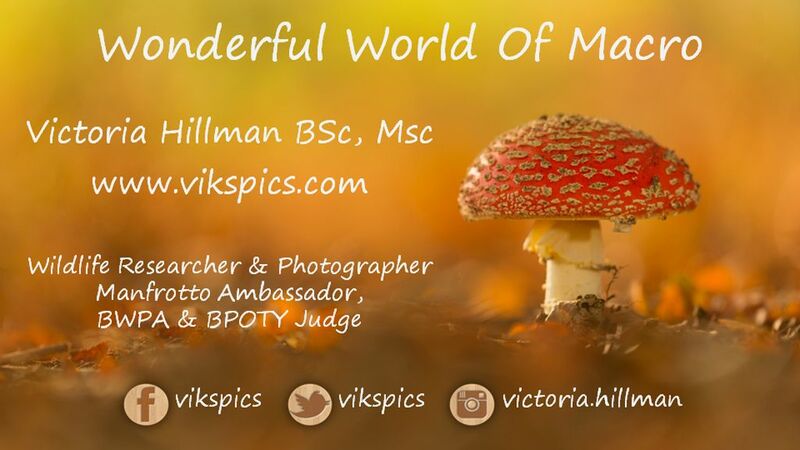 I'm delighted to be able to offer this new talk completed dedicated to macro photography, but this is no ordinary macro photography talk, it focuses on creative macro photography in the field. I cover what macro photography is, equipment needed, challenges and how to over come them as well as the little extras that I recommend carry in your bag at all times. This talk can be either 45 mins or 90 mins in length. 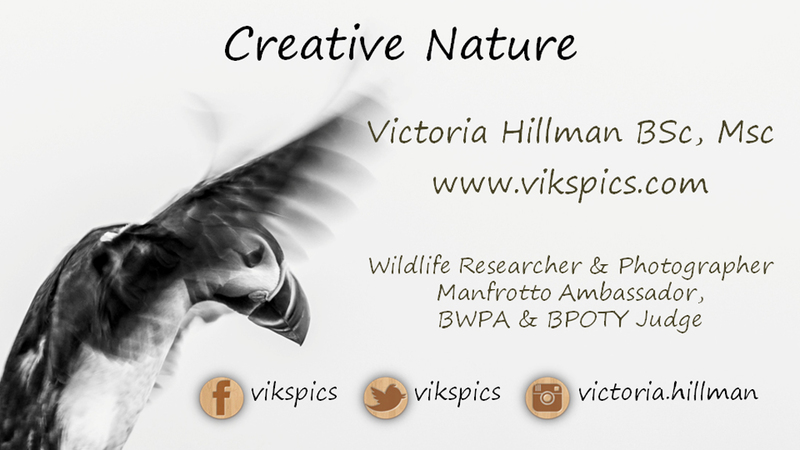 Looks at my more creative and artistic work and covers how I took the shot including lighting and composition, a mix of macro and other wildlife and nature photography. This is a more technical talk and will include camera settings. This talk can be either 45 mins or 90 mins in length.